This guide focuses on recovering deleted files from PC, hard drive, SD card, external HDD, etc. using free file recovery software. You can follow this guide to get back deleted data easily and safely. It is no wonder that people delete important files due to sheer carelessness. Accidental deletion cam happen to all computer user without any foreshadow. Over the past few years, I have been asked the question again and again “I’ve deleted a significant file from Recycle Bin, how can I recover deleted files?” Surprisingly, the answer is you can restore deleted files free. Because deleted files still remains on hard drive. What you need to so is learning how to find them and get them restored with free file recovery software. Here is the guide in the following part. What to do when you realize data loss issue? Stop using the hard drive. The chance of recovering deleted data fully will be slim if you keeping using your hard drive after Recycle Bin gets emptied. Once files are deleted from Recycle Bin, you can’t get them back without proper recovery software. If you edit or storing files or folders, then file directory or even file data might be damaged or corrupted. Besides, you should be alert to avoiding installing or storing programs and files to hard drive. Download and install free file recovery software. If you search online, you can find too many paid recovery programs available. Also, you are able to find some workable and powerful data recovery freeware which can recover lost files that you deleted or formatted by mistake, as well. All you need to do is to select an appropriate program for deleted data. 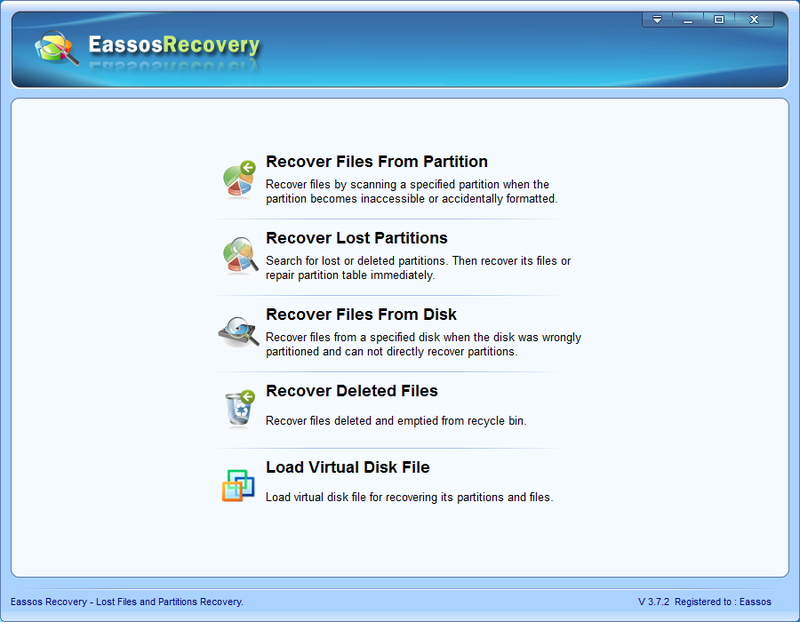 It is worth considering using Eassos Recovery Free and PartitionGuru Free. Install recovery software to a USB drive if deleted files were stored on system partition which is usually named as C: partition. The principle is file recovery software should be downloaded and installed to a separated partition from the partition that loses important data. 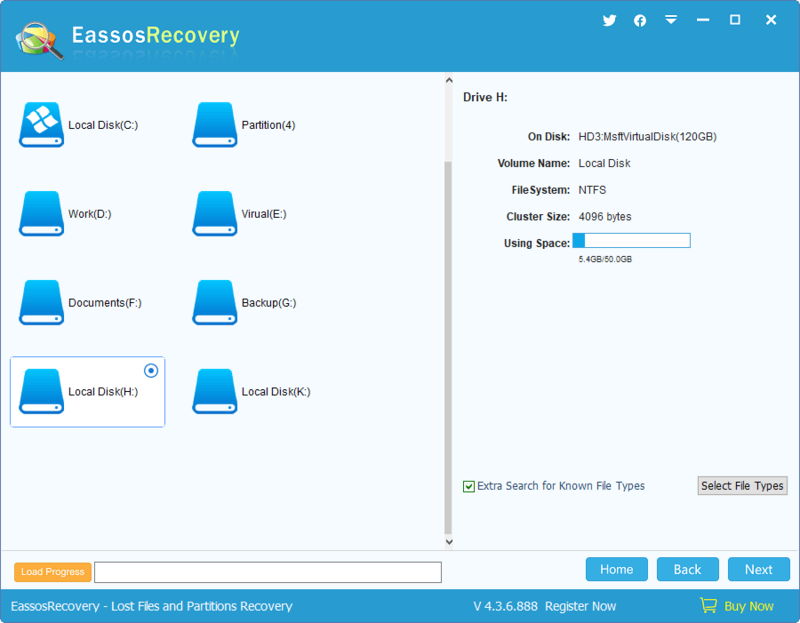 How to recover deleted files using free file recovery software? Step 1: Start the recovery software and select proper recovery mode. 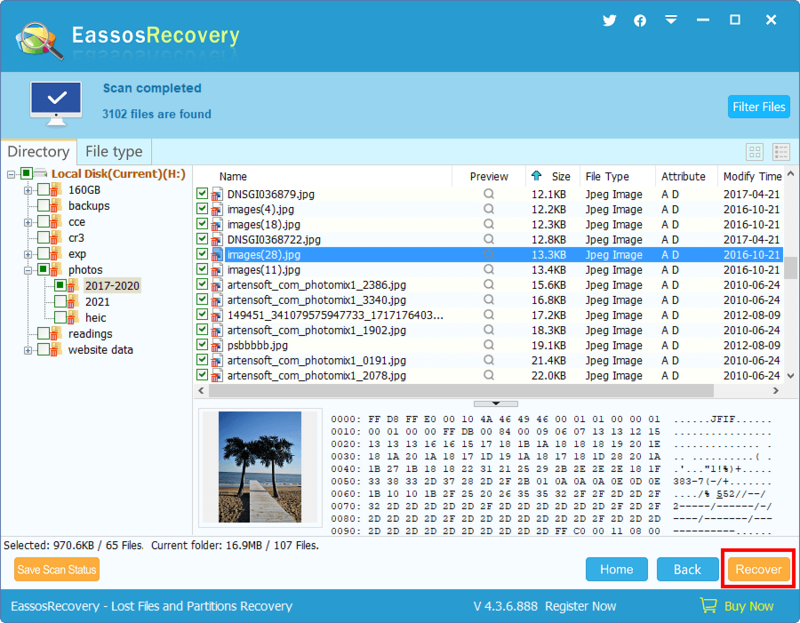 This software contain five recovery mode for different file loss problem, and each uses specified algorithm to scan lost files. Thus you need to find the one that suits best. Step 2: Choose correct drive to scan. In order that file scanning is performed to correct hard drive sectors, you need to select the right hard drive partition and click “Next” button. Also, you are allowed to specify file types you want to recover before starting scanning. Step 3: Preview through all displayed files and folders and recover all files you need. When file scanning gets completed, you can preview listed files and look for desired files. Then you can follow the wizard to restore deleted files to a secure location. Step 4: Check recovered files from the specified location which was specified by previous step. 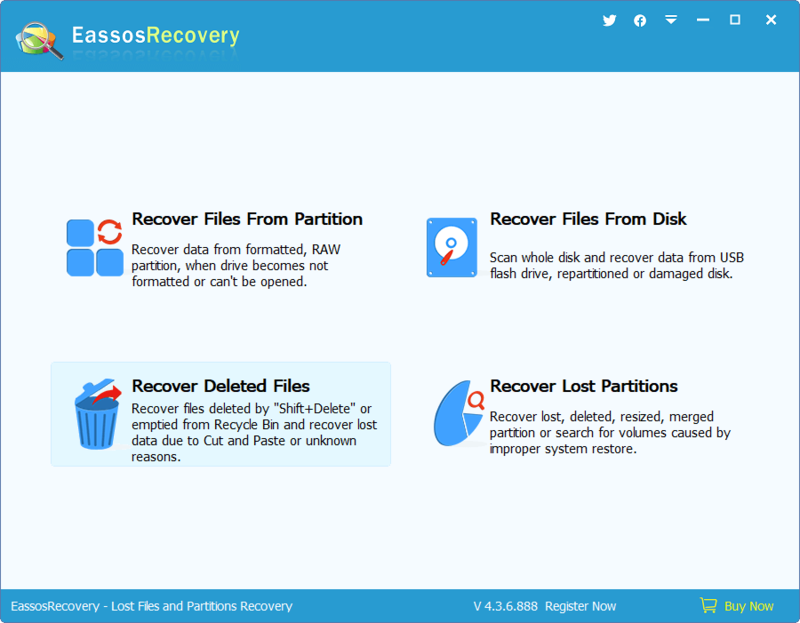 This entry was posted in Data Recovery and tagged file recovery software, free file recovery software, recover deleted files free, recovery software by EASSOS. Bookmark the permalink.